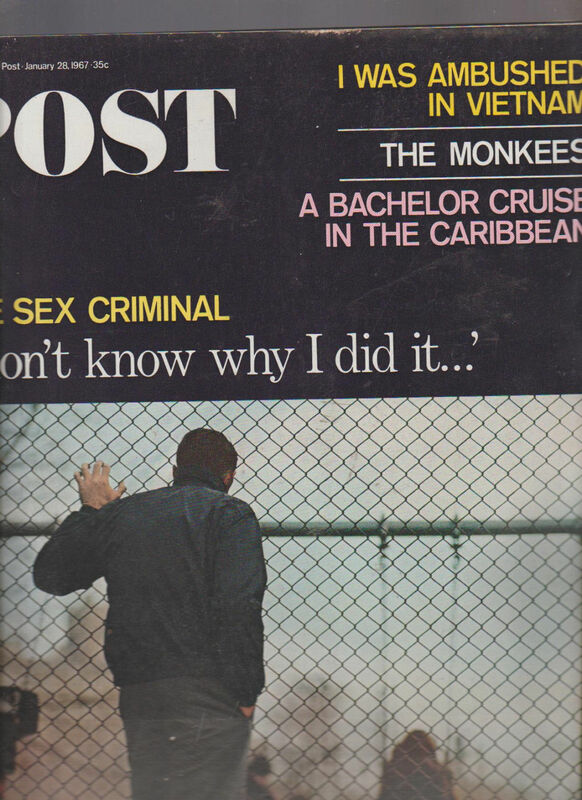 The Saturday Evening Post publishes an in-depth expose on The Monkees. "The music had nothing to do with us. It was totally dishonest. Do you know how debilitating it is to sit up and have to duplicate somebody else's records? That's really what we're doing. The music happened in spite of The Monkees. I don't care if we never sell another record. Maybe we're manufactured … tell the world we're synthetic because, damn it, we are. Tell them The Monkees are wholly man-made overnight … that millions of dollars has been poured into this thing. Tell the world we don't record our own music … but that's what they see on television." Pulling the rug out from under themselves this early on in their career could have been career suicide. The press jumped all over this story and The Monkees quickly became known as "The Pre-Fab Four". But the fans didn't mind … they loved the music … they loved the television show … and they loved The Monkees … and the group would continue to ride the wave of unparalleled popularity throughout the rest of the year. Meanwhile, BBC Radio in Britain airs a ten minute interview with the group on their "Where It's At" radio programme. 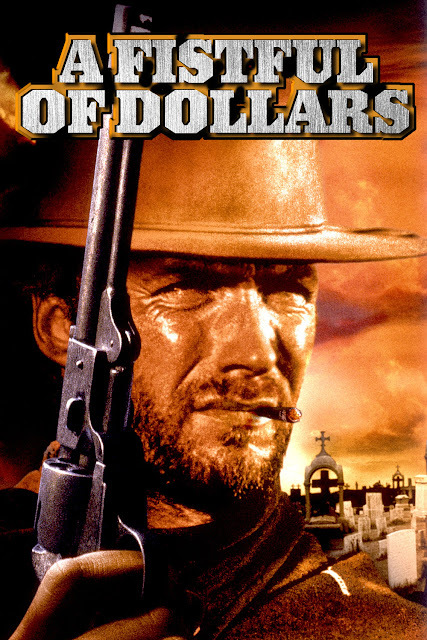 There is a song that's a REAL favorite of mine that never charted nationally, but which was a # 1 hit on KONO in January / February of 1967 in San Antonio. It's called "Bittersweet" by the Robbs. We have covered their success (or lack there of) several times before in Forgotten Hits. And yet despite all this hype behind them, they STILL couldn't score a hit record. A bit of research shows that "Bittersweet" (a record that didn't even bubble under in Billboard) was a regional hit not only in San Antonio (where it went to #1 on KONO) but also in Milwaukee (where it was a #1 Record on WOKY and #3 on competing WRIT) and Top Ten in both Louisville, KY and Honolulu, HI!!! (Go figure!) This song was written by Sloan and Barri during their hot streak ... and it should have been a hit. 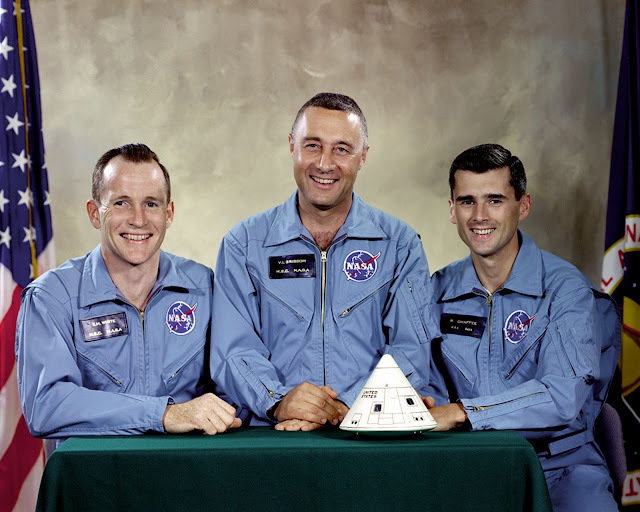 US Astronauts Gus Girssom (US Air Force), Edward Higgins White (US Air Force) and Roger Chaffee (US Navy) are killed today when a fire breaks out in their Apollo 1 spacecraft during a launch pad test at Cape Kennedy. (L to R) Edward H. White II, Virgil I. 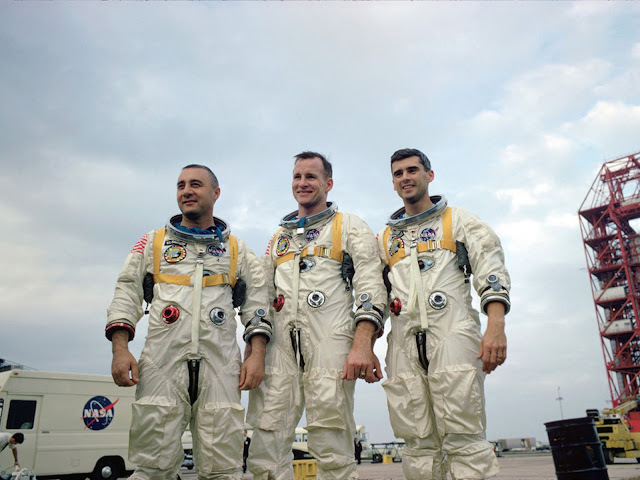 "Gus" Grissom, and Roger B. Chaffee. took the lives of all three astronauts. Ironically, on the same day, The Outer Space Treaty was signed by more than 60 nations. This agreement banned the orbiting of nuclear weapons and the placement of such weapons on any type of space stations or celestial bodies. CONVINCED that a Treaty on Principles Governing the Activities of States in the Exploration and Use of Outer Space, including the Moon and Other Celestial Bodies, will further the Purposes and Principles of the Charter of the United Nations. For the first time General Motors is offering 8-Track Tape Players in their Buick line. (Ford has been offering the device since 1965.) 8-Tracks would be phased out all together by 1982, overtaken by the far more popular cassette format. Neil Diamond (singing "I Got The Feelin'") and Sopwith Camel (doing "Hello Hello") appear on "Where The Action Is". For the first time this year, a record debuts inside The Top 50 when The Supremes' latest, "Love Is Here And Now You're Gone" premiers at #48. You won't find another new record on the chart until you reach #72 where another Motown act, The Marvelettes, debut with "The Hunter Gets Captured By The Game". Neil Diamond's got a new one on the chart this week as "You Got To Me" premiers at #74 and a couple of '60's chart staples, The Young Rascals and The Byrds, also make their mark with new releases this week as "I've Been Lonely Too Long" and "So You Want To Be A Rock And Roll Star" debut at #82 and #84 respectively. On the local front, Chicago's New Colony Six enter the chart at #94 with their latest "Love You So Much", a record that will peak at #2 here in Chi-Town. 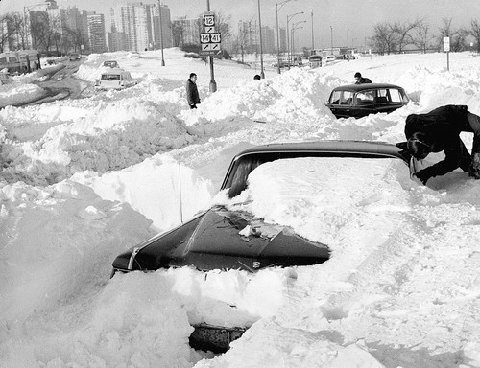 That "snow delay" was The Chicago Blizzard of 1967, STILL talked about fifty years later as the worst snowstorm in Chicago's history, dumping 23 inches of the white stuff and effectively shutting the city down. 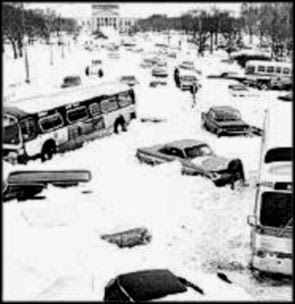 Weathermen had forecast up to four inches of snow … so you can imagine the surprise when it just kept coming and coming. Everything ground to a halt … and later that night and the next morning (naturally school was closed) me and my brothers helped to clear the path and driveway. 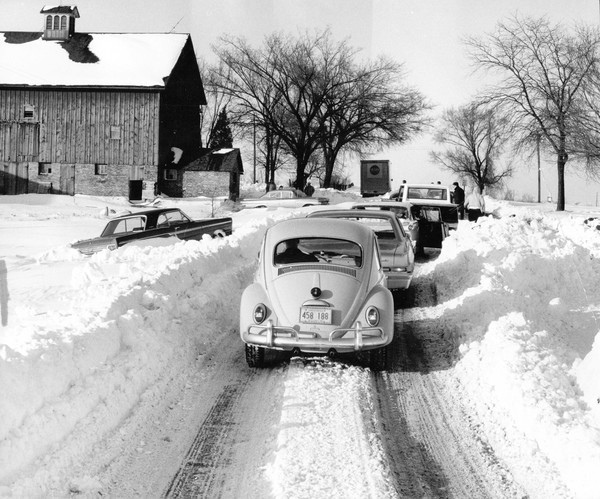 When all was said and done we had created snow piles nearly eight feet tall … it got to the point where you couldn't throw it any higher! As would be expected there was a run on snow shovels and snow plows and blowers but my dad made the most of it and helped clear out many a neighbor with this new snow removal equipment. Naturally, I got home late that day and I missed today's edition of "Where The Action Is" … which featured the incredible line-up of Keith, singing "98.6", The Seeds (doing "Pushin' Too Hard" and "Can't Seem To Make You Mine") and The Blues Magoos performing "We Ain't Got Nothin' Yet"! 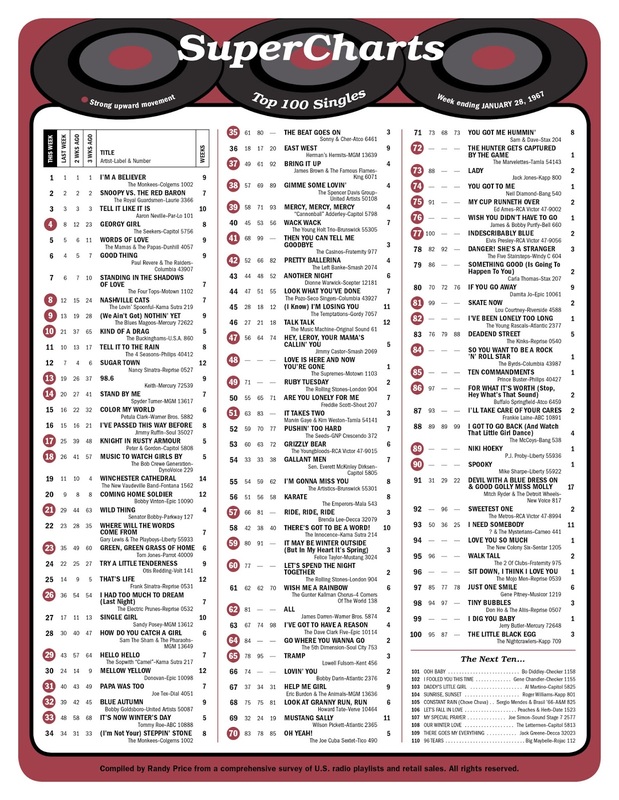 Big movers this week include "Then You Can Tell Me Goodbye" by The Casinos, up from #68 to #41, a jump of 27 places (after a 29 point jump the week before), "Ruby Tuesday" by The Rolling Stones, up from #71 to #49, a move of 22 spots, "It May Be Winter Outside (But In My Heart It's Spring)" by Felice Taylor, who climbs from #80 to #59, a 21 point leap … (Does ANYBODY remember THIS one?!? I sure don't!!! In fact, I couldn't even find it on iTunes to feature here today!) ... "Let's Spend The Night Together" by The Rolling Stones (up from #77 to #60), "All" by James Darren (which climbs from #81 to #62) and "Go Where You Wanna Go" by The Fifth Dimension, up twenty places from #84 to #64. Elvis Presley's latest, "Indescribably Blue" makes a decent showing, climbing from #100 to #77, a leap of 23 places. Weekly Variety runs the headline "No Biz Like Monkees' Biz", stating that their first two albums have now sold in excess of five million copies while their two singles ("Last Train To Clarksville" and "I'm A Believer") have now recorded sales of over four million copies. 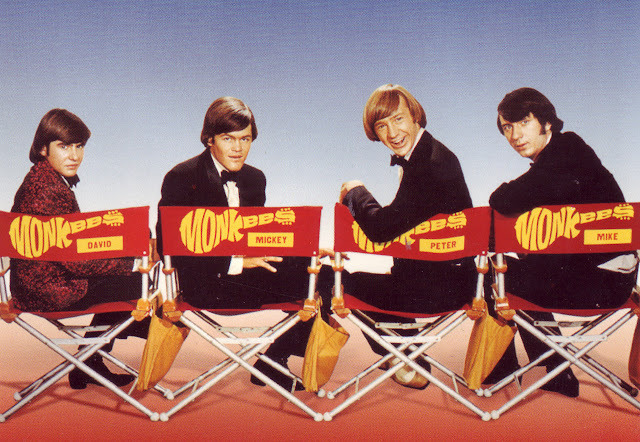 While Screen Gems "pockets the big loot, picking up a production fee of 10-15% per disc plus publishing at $0.25 per song", The Monkees themselves are earning $400 per week in a flat salary arrangement. The article goes on to say that "astonishingly, the band members are only paid their weekly fee as 'actors' … no additional recompense comes to them for travel" or live shows. The Top Three remain unchanged for the fourth week in a row … "I'm A Believer" by The Monkees is at #1, "Snoopy Vs. The Red Baron" by The Royal Guardsmen holds at #2 and "Tell It Like It Is" by Aaron Neville hangs on to the #3 spot. Three new records enter The Top Ten for the first time, including a major mover, "Kind Of A Drag" by The Buckinghams, up from #21 to the #10 spot. Also enjoying Top Ten success this week are "Nashville Cats" by The Lovin' Spoonful and "(We Ain't Got) Nothin' Yet" by The Blues Magoos. Cracking The Top 40 for the first time are "Hello Hello" by Sopwith Camel (#29, up from #43), "It's Now Winter's Day" by Tommy Roe (#33, up from #48), "The Beat Goes On" by Sonny and Cher (#35, another HUGE leap, up from #61), "Bring It Up" by James Brown (#37, up from #49), "Gimme Some Lovin'" by The Spencer Davis Group (#38, up nearly twenty places from #57), "Mercy, Mercy, Mercy" by Cannonball Adderley (#39, up from #58) and "Wack Wack" by The Young-Holt Trio, featuring namesakes Eldee Young and Isaac "Red" Holt, who broke away from The Ramsey Lewis Trio to form their own group along with Don Walker. Aretha Franklin has her first recording session for Atlantic Records at Fame Recording Studios in Muscle Shoals, Alabama. Her first single for the label, "I Never Loved A Man The Way I Love You", is cut at this session. This new contract guarantees a $300,000 per year advance (against royalties) through 1970 and a $200,000 per year advance through the end of 1975. In light of his own new contract with The King Of Rock And Roll, putting 50% of this money in his own pocket, one could consider today to be a pretty big pay day for Colonel Tom Parker. The Outsiders, performing "Time Won't Let Me" and "Help Me Girl" and J.J. Jackson, performing "But It's All-Right" and "I Dig Girls) appear on "Where The Action Is". The trial of Wilhelm Harster, accused of murdering 82,856 Jews (including Anne Frank) begins in Munich. He will eventually be sentenced to 15 years in prison. 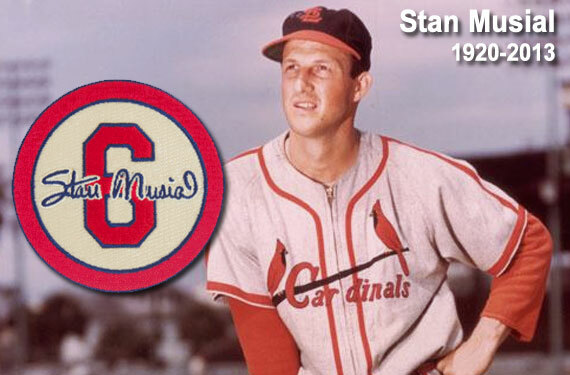 Baseball Great Stan Musial is named General Manager of The St. Louis Cardinals. He played his first major league game for The Cardinals in 1941 … and stayed with the team for an incredible 22 years, retiring in 1963 with a lifetime batting average of .331. Along the way he hit 475 home runs. Otis Redding and The Music Machine are guests on "Where The Action Is". Otis performs "Try A Little Tenderness" and The Music Machine sing "Talk Talk". The Lovin' Spoonful are guests on The Ed Sullivan Show tonight. They perform their latest hit "Nashville Cats" as well as "Darlin' Be Home Soon", which will be their follow-up single in February. The Monkees perform at The Cow Palace in San Francisco, California. This concert was also filmed and recorded for possible future airing. The East beats the West 20-10 in the NFL Pro Bowl. Number One at the Box Office this week: A Fistful Of Dollars.